Gorgeous and affordable boutique condo for rent in the heart of Northern Liberties! Enter the open concept living area where you'll notice gleaming hardwood floors, painted brick wall detail, and a sleek modern kitchen featuring stainless steel appliances. The spacious bedroom has brand new carpet and ample closet space. The bathroom has an over-sized shower with intricate floor tile detail. 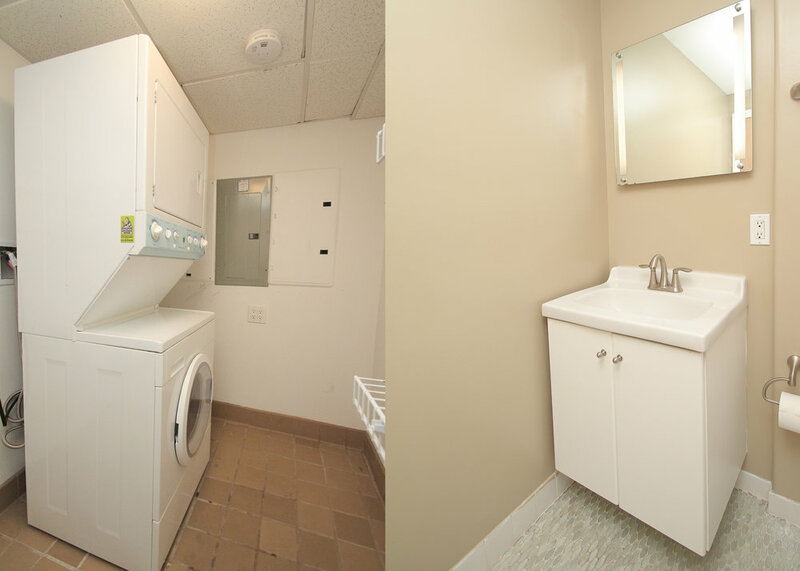 Not only is there a washer and dryer in this unit, but it is tucked away in a separate room that also offers extra storage space. This rental includes access to a 2nd floor deck and a roof terrace area with a communal outdoor kitchen. Located right off the bustling 2nd Street, all the dining and shopping that Northern Liberties has to offer is within easy walking-distance. One block away from the Spring Garden subway stop on the Market-Frankford line, hop on for a speedy 10-minute subway ride to Center City. Street permit parking available. First month, last month, and one month security due upon signing a lease.